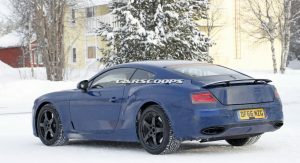 Even though key sections of the car remain covered up, this particular prototype gives us a look at the new Continental GT’s light graphics, as well as its retractable spoiler. 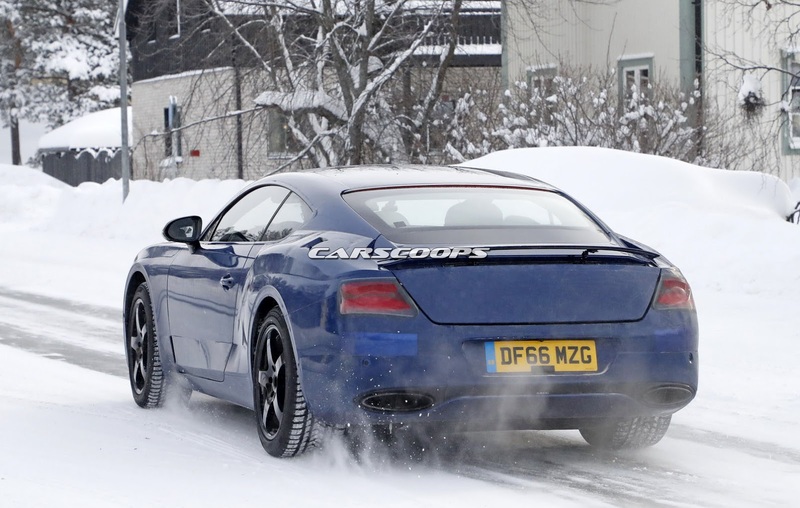 Unlike with the current model, the new Continental’s active rear spoiler is positioned near the edge of the trunk and not right underneath the rear window, thus allowing for a more traditional setup. As for the light graphics, assuming those headlights are the ones making it into production, it would seem they’re a lot more similar to the ones on the current Continental than the ones seen on the EXP 12 Speed 6e concept, or the EXP 10 concept before it. 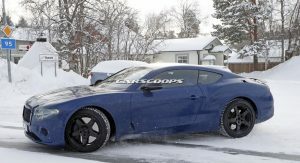 The taillights thankfully do resemble those on the concepts, with thin, oval-like graphics – which should match up really well with the car’s overall sleek and sporty design. 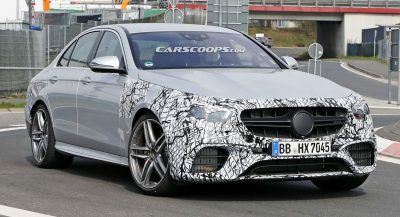 The car is also expected to be lighter as it’s underpinned by VW’s latest MSB platform (also used on the new Panamera), so we’ll probably be looking at around 150 kg (330 lbs) less. 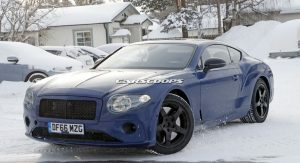 In terms of power, the most potent versions of Bentley‘s new Continental GT will probably utilize a 600+ HP W12 unit, whereas so-called “lesser” models would likely get the 4.0-liter twin-turbo V8 used in the Panamera Turbo. 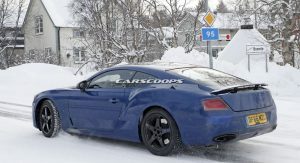 Other rumors include a 3.0-liter twin turbo V6 and possibly a plug-in hybrid V6, also courtesy of Porsche. 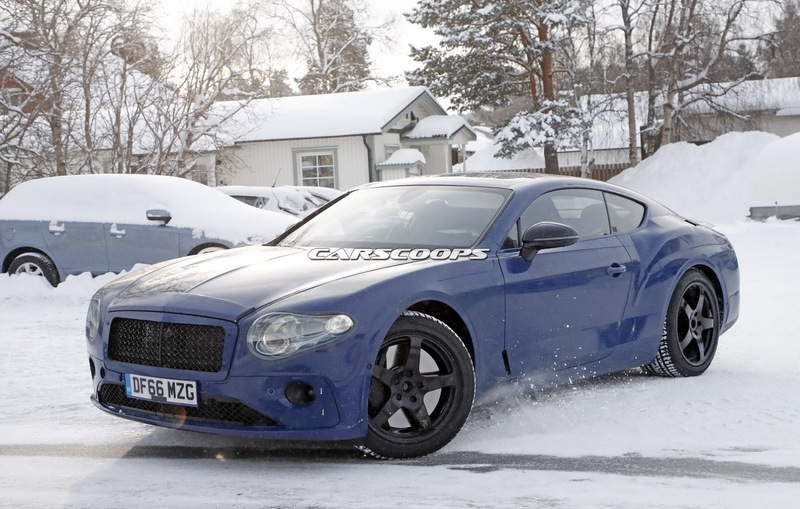 Bentley’s new-gen Continental GT as well as the GTC are both expected to debut sometime next year. Looks like an Accord Coupe from the back. 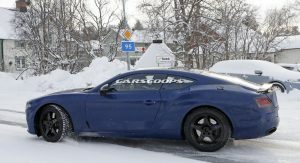 And I see a mustang from some angles.. but I am sure it’ll be amazing ..
Glad to see the use of the Porsche-engineered MSB platform, and the resulting drivetrain layout changes have resulted in proportions that are a bit less FWD-biased than the current car’s. It will not have “teardrop” headlights. There will be four separate light clusters. Yes but it will look like the EXP-something, something Speed 6. I was hoping for the EXP 12 to become a reality, not have its design transferd to the GT. What does it matter, other than having rear seats. I think this is the better option. Because the proportions of the EXP look better than the Continental. I think you will be surprised by how good this looks when official pictures are released in the next month or so. 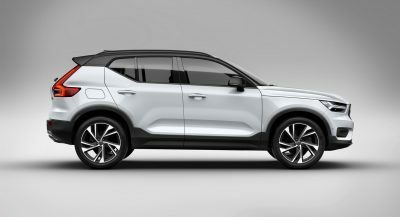 I am fairly certain the EXP is just a design study for the future of the Continental. 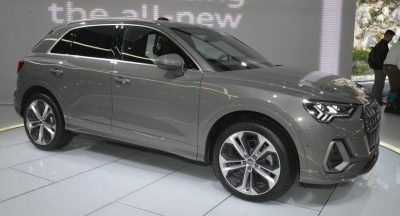 What chassis would they base it on if it were smaller, the Audi A5? 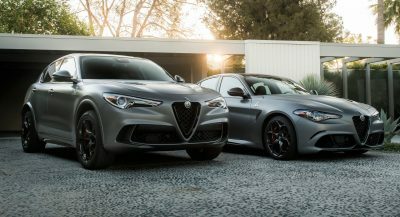 I bet they will make a mid engine sports car before a smaller GT. I may be surprised when the Continental is released but for ME the porportions of the EXP models are what make me desire them more so than the Continental so I stand behind my original comment. 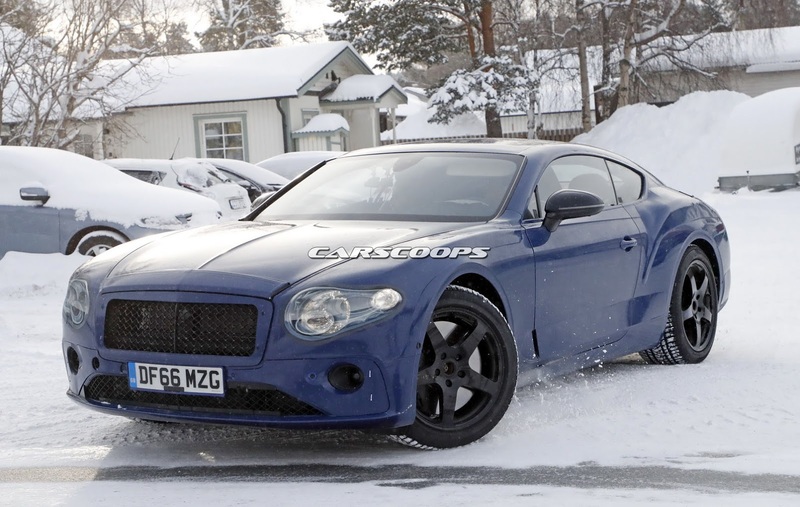 And to your chassis comment, they can probably shorten this chassis or pillage the rest of the VAG lineup because it not as though Bentleys ride on bespoke chassis. And you never know maybe they may make a Vantage fighter with all the money the Bentayga brings in. I am very excited for this car. A base model Panamera weighs 4000lbs. 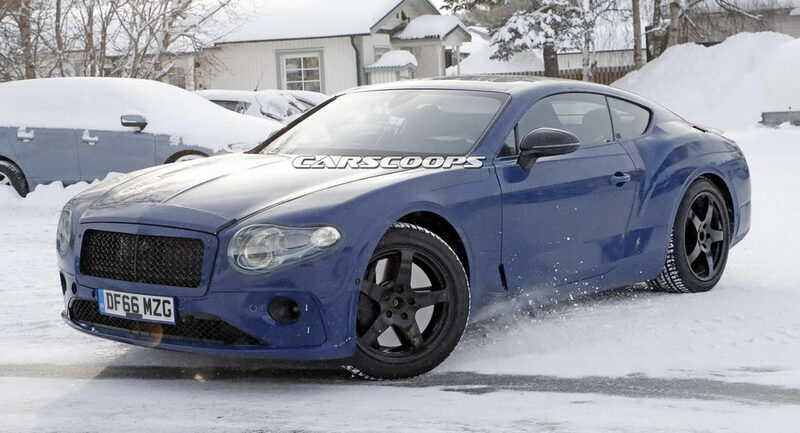 The Bentley looks set to lose between 700 and 1000lbs depending on model. I feel like a V8 diesel makes more sense for this car than a V6 model. The 4.0 diesel in the Panamera is incredible, 750 mile range. 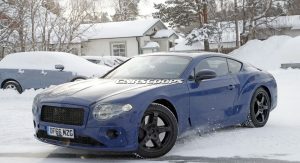 I hope we get to see a rear wheel drive Conti GT variant. 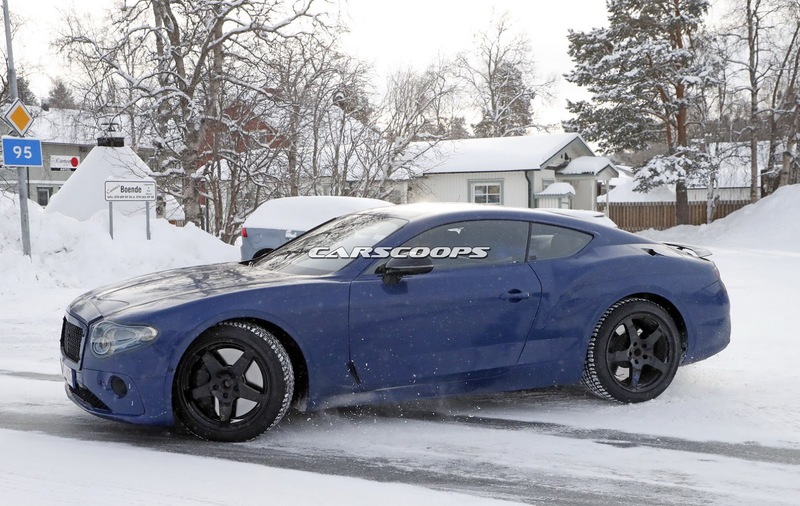 If they could make a RWD W12 powered 600hp GT that would be an epic comparison to the DB11. 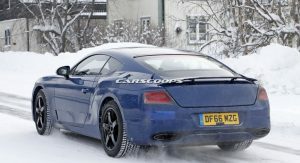 It’s not any worse than the first generation Continental GT using a platform developed for a Volkswagen. Bentley/VW were geniuses to turn the unfortunate Phaeton into the Conti GT/Flying Spur. 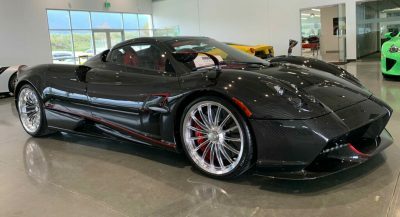 This one is much better proportioned but I wonder how spacious it’ll be in the back-a big GT selling point, believe it or not. Next PostNext All-New Honda Civic Type R Lands In The U.S.